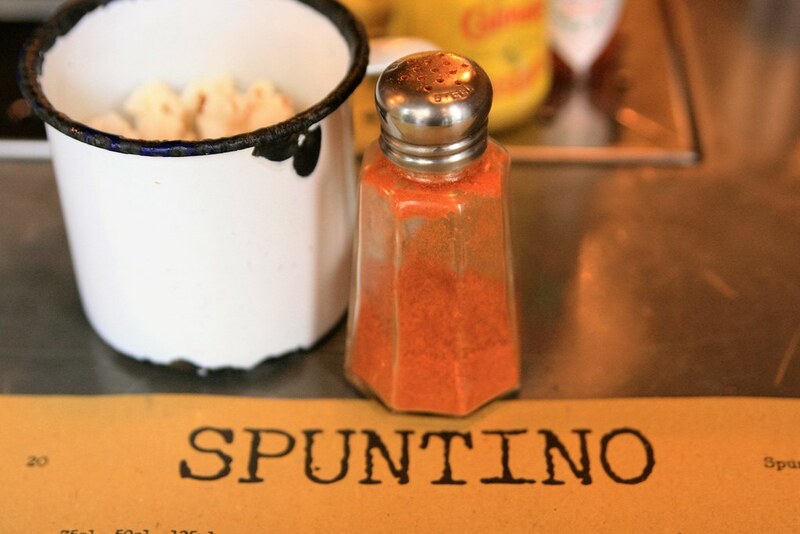 Spuntino is the sort of little place you only go to if someone takes you there. It's also the sort of place that you take other people to and then pretend you found it all by yourself. Tucked away behind an unassuming shop front in Soho, Spuntino is a relative of Italian small-plate purveyor Polpo. 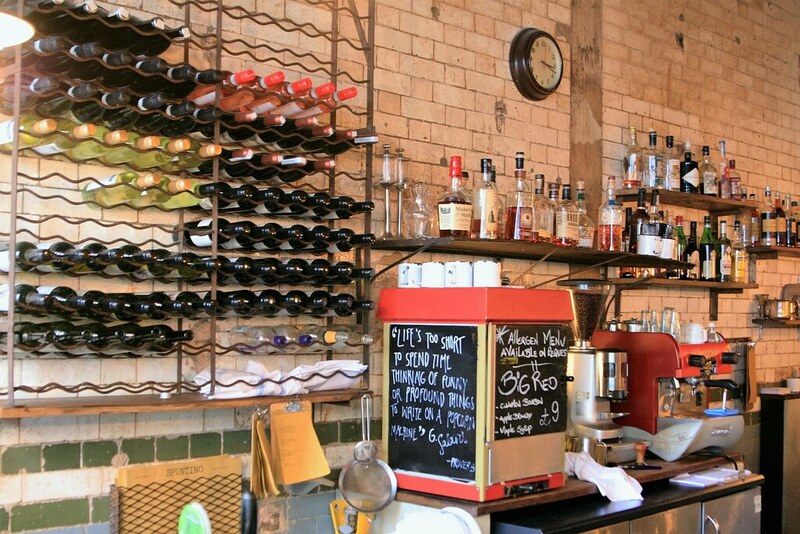 It's a small venue with most of its twenty-something seats perched around the bar giving it quite a cosy atmosphere. Coupled with the fact the you can't book, it also means you need to show up early to grab a place at the table. If you're fortunate enough to be able to skip out of work early on the odd occasion (bye-bye marking!) and be in central London for half four or five o'clock, you'll be able to casually saunter in Spuntino, claim your seat at the bar, and order yourself a well deserved drink. 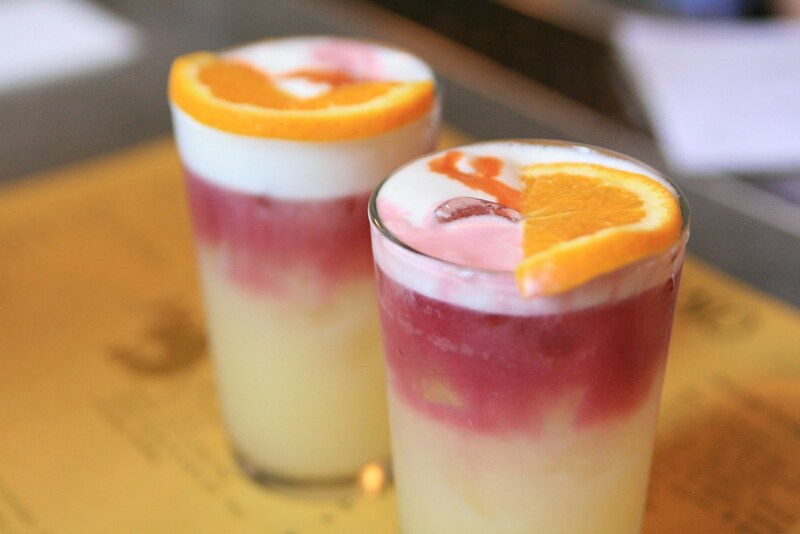 And I highly recommend that you get one of their cocktails as the menu changes regularly, the ingredients are imaginative and the results are particularly delicious and refreshing. So maybe order two cocktails. After which you'll need to eat something. Fortunately, the food is fab. First of all, there's popcorn to eat while you wait for your food (always a winner in my book) and then a whole host of little dishes that you can order up and share. I find sharing challenging but I am definitely very on board with the concept of ordering multiple dishes. You'll find mini pizzas, a range of little sliders, truffle toast with baked eggs and so on. 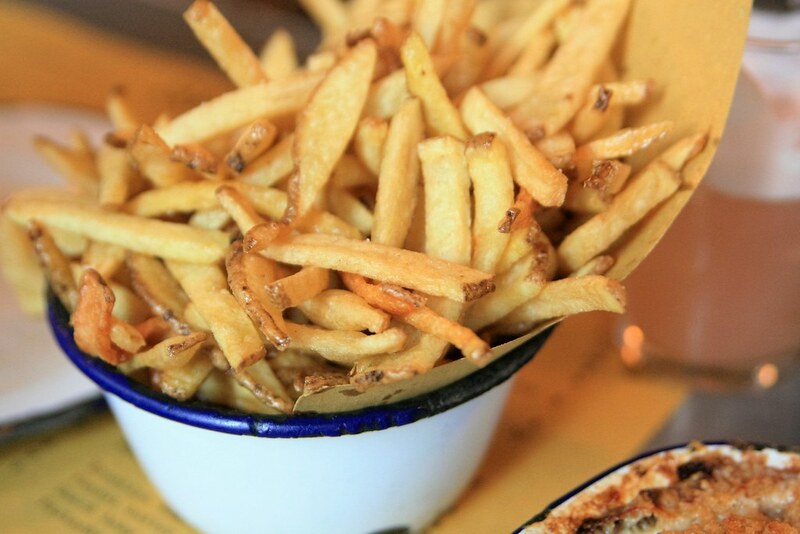 But my favourites were the shoestring fries and the mac and cheese. This is a little surprising for me as I would firmly place myself in the fat-chips-all-the-way school of thought and scoffing. But these beauteous shoestring lovelies worked like a charm for me. And I want more. It's not surprising, however, that I liked the macaroni cheese as it's basically my favourite food. 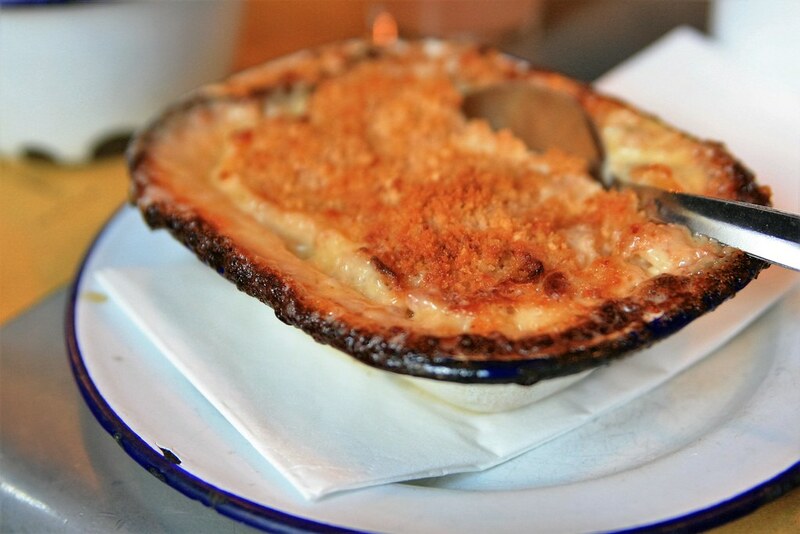 Spuntino's was good: toasty hot, baked with a lovely breadcrumb topping and with a good helping of gooey stringiness. Which might not sound like a compliment to many dishes, but is to this one. The mac and cheese comes in two sizes: single or sharing. Or as I prefer to think of it: wimps and Kirsty-sized. 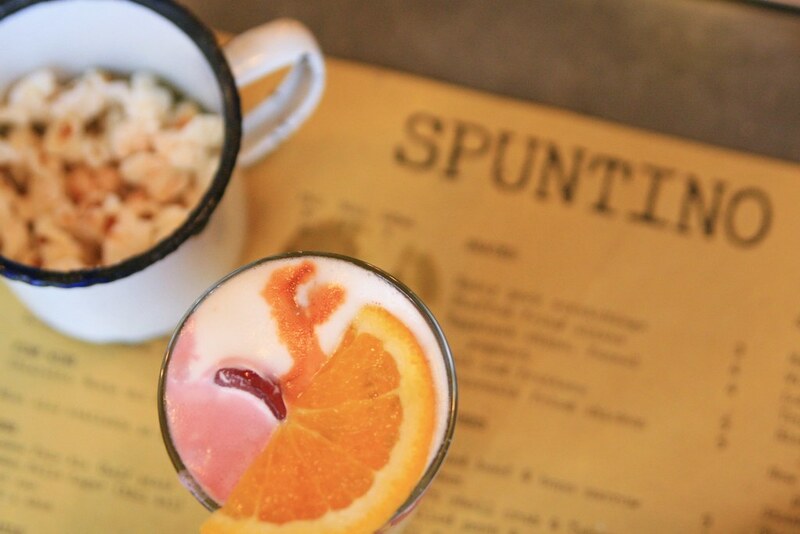 I've been to Spuntino a handful of times and thoroughly enjoyed it each time; I think it fits very well into the early evening slot for a drink and a bite. Or six. Especially if I don't have to share the mac and cheese. P.S. So many restaurants, so little time. I love London! I'm putting this on my list of places to visit! That Mac & Cheese! So good! Also I had brunch at Charlotte's W5 in Ealing this morning. That was fabulous too!